This is our latest prototype of the Modular Belt System. We've played with the design quite a bit since showing our original back in March 2016. 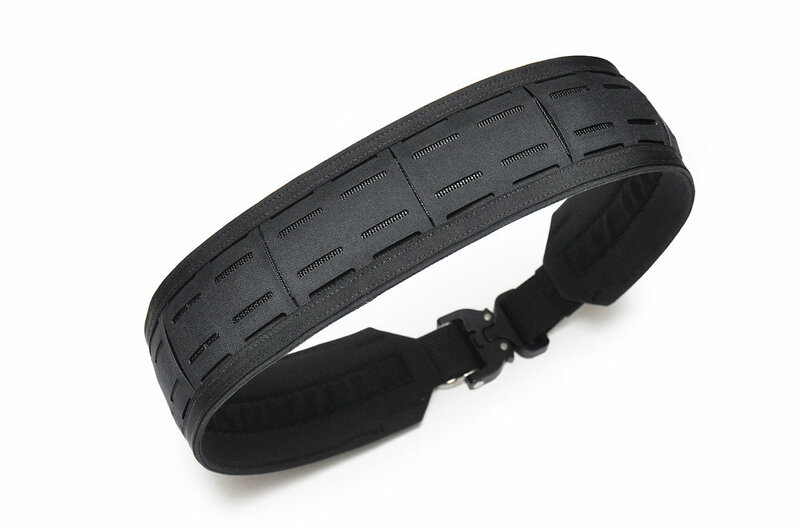 This new version has the inner belt channel centred, and makes use of specially designed Cordura Laminate panels. These are laser cut to our specification, and allow the user to mount PALS compatible pouches and accessories directly to the belt sleeve. 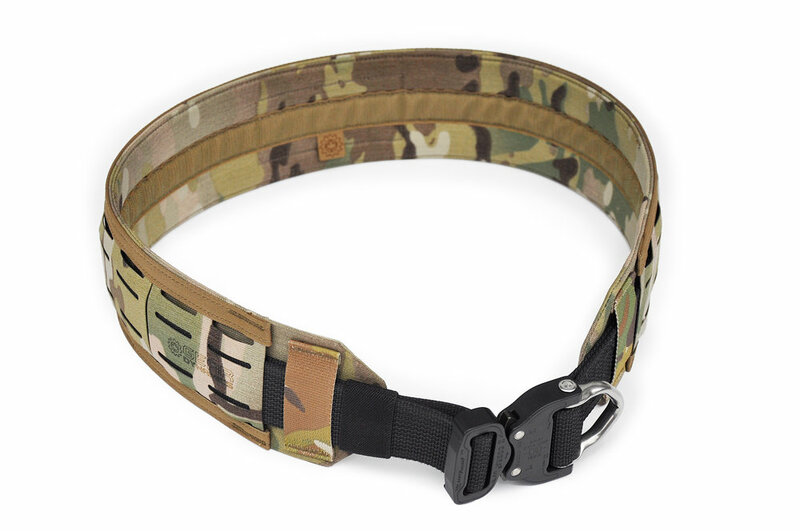 The inner belt can be routed outside the laminate panels to allow belt-mounted gear, like holsters to be attached. Like the original sleeve, Velcro hook runs the length of the back for use with our Liner Belts. We've engineered the sleeve to be as low profile and lightweight as possible. It's only 3" tall, less than 1/4" thick and weighs only 144g (5oz) for a size medium! The prototype pictured does not have this capability, but we are exploring the idea of providing slots for sub-load attachment. 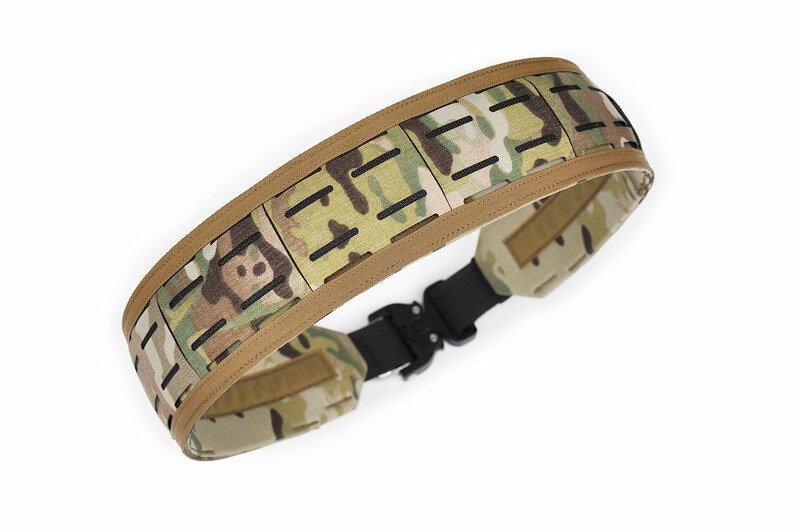 Colours that will be possible are: Black, Coyote, Ranger Green and MultiCam.